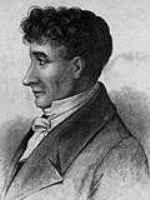 For this quote we can thank French moralist and essayist Joseph Joubert. It’s a powerful quote because it fundamentally speaks to a universal truth about what it means to be self-aware. Self-awareness is an underrated form of intelligence, without which it is difficult to find success in situations which require us to interact and work together with others. This quote was timely for me because the past few weeks I’ve been coaching an HR professional/friend on how to overcome some challenges at work which have limited her opportunities for advancement. The coachee has derived value from some of the insights I’ve shared in the past (and vice versa), but in this most recent case she expressed skepticism around a strategy I advocated. She gave me several reasons that my suggestions wouldn’t work within her particular organization, but as my advice had worked well for myself and many others I know in the past, I was reticent to agree with her that another tact was more warranted in this case. Eventually (against my advice), she trusted her instincts and was successful trying a different methodology to address the issue at hand. And in a moment of reflection this past weekend, I realized that I was so attached to my own point of view that I’d lost sight of the fact that there were many variables I wasn’t considering. Fortunately the person I was advising had the ability to see this and all ended well. With that said, as we get started this week I would encourage you to stay mindful of what you know and what you don’t know. Just as importantly, keep a tab on your emotions and how they might be driving your thoughts and behaviors. You will be a better person for it.